In this Feb. 10, 2013 file photo, Frank Ocean arrives at the 55th annual Grammy Awards in Los Angeles. Apple Music has released new and long-awaited music from Grammy award-winning singer, Ocean. The company tweeted a link to the music video "Endless" by the R&B artist on Thursday night, Aug. 18, 2016. 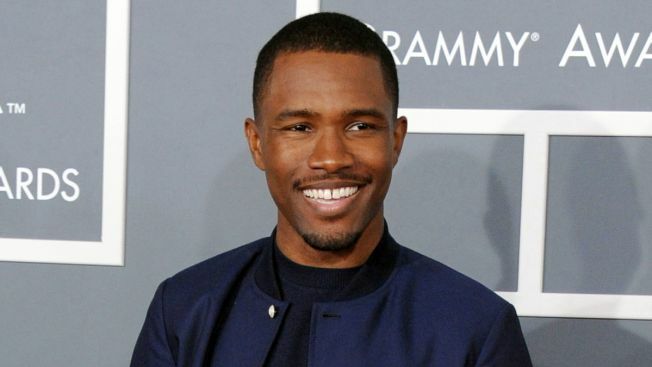 Apple Music has released new and long-awaited music from Grammy award-winning singer Frank Ocean. The company tweeted a link to the music video "Endless" by the R&B artist on Thursday night. Media reports say the 45-minute "visual album" is only available to subscribers of Apple's music streaming service, which quickly drew comparisons to Beyoncé's recent video album "Lemonade." The release came amid other reports, including from the music website Pitchfork, that a new album from Ocean would come this weekend. Ocean's widely acclaimed debut album, "Channel Orange," was released in 2012. The record featured the hit song, "Thinkin bout You," and earned him two Grammy awards, including best urban contemporary album. Ocean is known for his previous association with the alternative hip-hop group Odd Future. He has also written songs for Beyonce, Justin Bieber, John Legend and Brandy. He appeared on two songs from Jay-Z and Kanye West's collaborative album, "Watch the Throne."